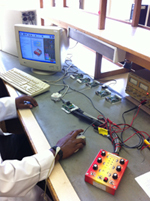 Spitronics is a design company that specialise in electronic and mechanical designs. Our main product is After Market Engine Management Systems. Spitronics has a full time, in house Research and Development Team that consists of software, hardware, firmware and research engineers. They constantly design new products and upgrade existing ones. This ensures the end user of the latest technology. 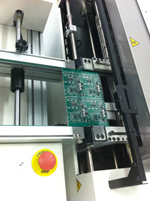 Spitronics makes use surface mount technology and an Automated Machine Process for production manufacturing. 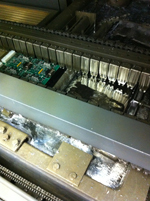 This process results in a more reliable quality product at reduced cost. This will ensure the end user of the best value for his money. Spitronics' products also go through a Three Stage Quality Control Process before being shipped to independent distributors, dealers or end users. to a network of independent distributors and dealers, both local and international to assist the consumer with installation, back-up and service. Training is also offered by Spitronics on a regular basis, to help independent distributors and dealers keep up with the latest technology designed by Spitronics. Spitronics is actively involved with a number of motorsport Events across the country where technical support is made available, such as 4x4, drag, track and oval track racing.